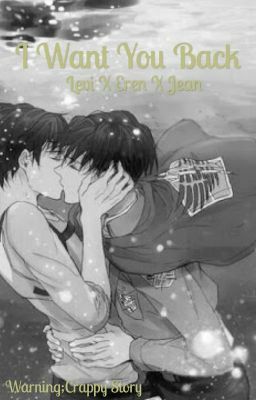 After Levi and Eren broke up,Eren met a boy named Jean and they started dating.But now Levi is jealous and wants Eren back,because Levi never wanted to break up with Eren. Will Levi get Eren? Or will Eren stay with Jean? The name and the story is inspired by the song 'I want you back'! I also don't own the cover! :3 This is quite a short story,though. Btw there WILL be swearing!So if you don't like swearing,then please don't read! :3 It's also set in a modern time! :3 Enjoy!